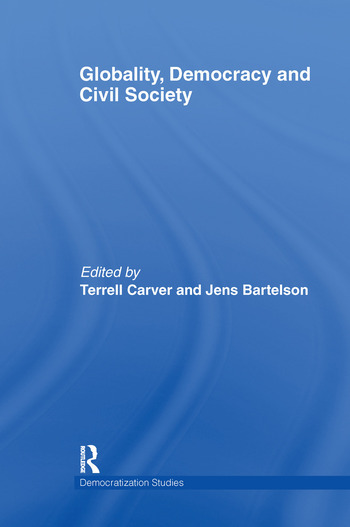 Globality, Democracy and Civil Society explores the relationship between the concepts of democracy and civil society through a comparison of their meaning and function in different historical and cultural contexts. This volume presents detailed contextual studies in Europe, North America, Japan, Russia and Turkey. The contributors explore different ways of understanding and developing democratic practices and institutions. Rather than projecting the conditions of modern representative, state-centric democracy onto the global realm, they propose ways of rethinking these very conditions in terms of human diversity and difference. This is done by exploring conceptions of democracy that reconcile cultural plurality with democratic practices, and by using a number of examples and perspectives framed by a global context, rather than by geographical divides between East and West. The contributors are not trying to define the concept of civil society, but rather demonstrating the different ways it is deployed in political practice and disseminated through on-going processes of globalisation. This book will be of interest to scholars and students of global democracy and governance, cosmopolitan democracy, the future of civil society in a globalising world, comparative politics and political thought. Jens Bartelson is Professor in the Department of Politics at Lund University, Sweden.